Humans by nature are curious and seek their highest potential in array of manners through their actions. A human when disconnected from curiosity and seeking highest potential, falls back into rhetoric of going through dullness of actions or inactions like an animal. The dullness is also reflected in behavior and relationships with self and others. Curiosity and seeking highest potential is a journey, not a destination or a preset goal. Therefore, comparison between two humans where they are in their material or spiritual life is self- discrimination creating illusionary superiority or inferiority. The process of incomplete truth renders humans to live in a relative world, where absolute finds no place. Absolute is Naam that will be elaborated further later in this article. The innate curious and seeking human nature transcends all visible and invisible differences and boundaries like religion, spirituality, nationality, skin color, appearance, gender, perspective, etc. Innate curiosity and seeking highest potential is one common ground on which humanness strives. All visible differences and boundaries are elite paradigms that fragment humanity like a shattered mirror; a shattered mirror that fails to reflect completeness. A shattered mirror with lost potential to reflect truth. Spirituality can also be an elite paradigm that I will use an illustration later in this article. When a human is disconnected from human nature he or she fails to connect with other humans through humanness. Instead the connection is of bias rooted in illusion, worry and fear. Such a disconnection is part of a journey of curiosity and seeking highest potential and should not be shunned or shamed. In fact, this disconnection is opportunity for an attitude of compassion, acceptance and support to connect back to humanness. Often, popular perception separates materialism and spirituality as two different dimensions of human existence. Materialism (sargun; with a form) and spirituality (Nirgun; formless) emanate from one creator. Any perception that fails to dissolve all forms of separations among humans deprives one of humanness. Humanness is the core of every human. Without a core, a human loses the purpose of human life similar to a handkerchief knotted in middle. A knotted handkerchief in middle is called a handkerchief for namesake only. A handkerchief knotted in middle cannot hold any object or be used for cleaning. It is purposeless handkerchief. A human without humanness is a life knotted in middle. A life without a purpose. Without purpose there is no value. Without value there is no worth. A worthless life is deprivation. Until the knots of Elite Paradigms are undone a human remains inhuman. At this point, let's circle back to the concept of elite paradigms. Any elite paradigm is a knot in human life. There are many such elite paradigms. Spirituality can be one of these elite paradigms. Spirituality (and/or religion) is a double edge sword that can become an elite paradigm fragmenting a human who shall fail to comprehend wholeness of humanness. The other edge of the sword of Spirituality (and/or religion) is liberation from all vices emanating from perceptions baked in relativity. Spirituality (and/or religion) is a state of being, not a state of understanding. In a state of being, spoken words are pointers to a state of being. State of being is root of tree of wisdom, from which emanates fruits of simplicity and clarity. In a state of understanding, words are leaves of a tree without roots. Often, when we are caught in words, we lose our state of being; Being human or Human being. Being human transcends all spiritual or material states of human existence. Opposite of being human is being without a core like a handkerchief knotted in middle. Such a state results from loss of curiosity and not seeking highest potential at personal level. The dullness of actions is embodied in cramming information from outside sources like great masters of life. Dullness is result of trying to understand something without personal experience. Personal experience is the child of curiosity and seeking one's highest potential. Elite spiritual paradigm results from mere understanding all stages of spirituality without personal experience. This becomes basis of fragmentation of self. Understanding of connection to highest state (fragmented self) of spirituality and disconnection from other humans is trait of Elite spiritual paradigm. The disconnection from other humans or humanness is detrimental to humanity to prevail in our collective existence. Without humanity in a human, human life is deprived of its potential. If a spiritual human being is living in a higher state of human existence, he or she should be able to comprehend all other states of human existence and connect effortlessly with all. Let us use an example to elaborate this point. A doctor of philosophy (PhD) is higher state of academic education that requires one to go through primary, middle and high school, undergraduate and graduate schools. Having gone through all the stages of education, one is honored with a doctoral degree. If one has gone through all stages of education, one is able to connect with students in all stages of education without effort and also with doctorate students. If one has gone through all stages of education, one knows the equal importance of all levels of education. A doctorate does not converse with high school student in doctoral terminology or vice versa. This versatility is result of living through the experience of becoming a doctor. This is being. With mere understanding of spiritual state, one cannot be imbued with the traits of humanness resulting in the elite spiritual paradigm. A human who is at higher state of spirituality is able to connect with all effortlessly, irrespective of others state of materialism or spirituality. This connectedness is humanness. This connectedness is the purpose of life. This connectedness transcends all visible and invisible differences and boundaries of human existence. This connectedness is result of overcoming the elite spiritual paradigm. In fact, overcoming elite spiritual paradigm results in dissolution of all self-serving elite paradigms. Connectedness unties all knots from human life giving purpose to human life. When a human is connected through humanness with self and others, duality ceases to exist; everything becomes One. When it is One, there is One Doer, no fear, no hate, timeless and deathless. Doer, fear, hate, death, all require there to be two or more. At this time, I am reminded of Mool Mantra, the essence of humanness. Mool Mantra is essence of what it means to be human. Without Naam and attributes of Naam, life is like a handkerchief knotted in middle; a lifeless life. Aad Such Jugaad Such Hai Bhai Such Nanak Hosee Bhai Such. Guru Gobind Singh ji is a great example of a complete human in his actions, thoughts and state of being. 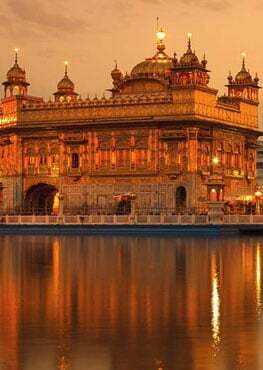 In his state of being (at one with creator and all of his creation), Guru Ji is an ever luminescent beacon of the embodiment of Naam. Amidst the atrocities of the tyrant Mughal Empire, he remains unperturbed as evident by complete truth, balanced, clear and high spirited contents of the Zafarnama addressed to Aurangzeb. It is noteworthy that Guru Ji drafted Zafernama in the forest of Machiwada after losing his family, his fort and his Singhs in battle. Guru Gobind Singh's offer of safe passage to the emperor in a balanced document painting a true picture of Aurangzeb outlining his virtues and flaws is a manifestation of a complete human free of any attitude of being the doer, free of fear, hatred and death. Guru Nanak ji has captured essence of humanness in Mool Mantra. The untying of the knots of all elite paradigms leads to Naam. This absolute is Naam that is always true. One who has Naam as Guru's Grace, is imbued in attributes (One Doer, no fear, no hate, timeless and deathless) of One Universal Creator. Naam is bestowed by Guru's grace. Our dharma is to become worthy of Guru's grace, this is possible by becoming a Sikh as stated in below Bani by Guru Nanak Dev Ji. Sikhi is in Guru's teachings. 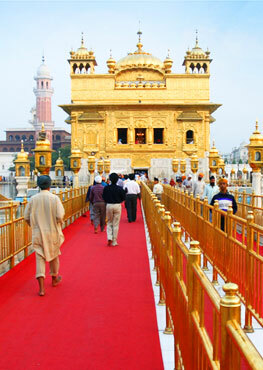 One who wants to be a Sikh must follow Guru's teaching to a T in their personal life to become worthy of Guru's grace. Guru gives us all the tools we need in the form of teachings which are open to everyone to walk the path leading to Naam. Every human has the choice to follow Guru's path to be worthy of Guru's grace. Guru does not give Naam until we are in full alignment with Guru's teachings where our essence as mind (Haume/ego) is totally dissolved in Guru's Shabad.